For over 10 years producer Rioretti has honed his music producing craft into a unique blend of hip hop, electronic and trap. He presents you with a 20 Pack of Stem Loops which he proclaims are his greatest instrumentals. You will find a pleasant mixture, tasteful mixture of piano, pads, leads and plucks. His unique approach to his music gives you limitless musical directions for you to experiment with. Featuring instruments, drums and FX Rioretti provides you with everything you need to produce timeless music too. You could create an endless amount of beats from this one pack and the quality will shines through regardless of which loops you choose. The entire pack takes you a decade of music production. Rioretti has transcended the basic tag of trap producer and delves frequently into the realm of electronica and smooth synthwave. His production is instantly recognised through his massive drums, wide pads and unique top melodies. This kit provides you the perfect chance to delve into the minds of one of the most unique producers on Traktrain. 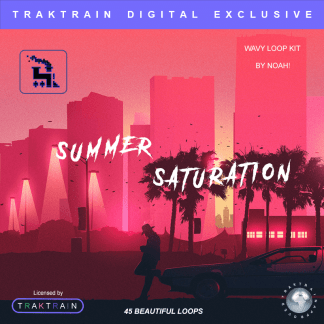 Traktrain Dark Trap Stem Loop Kit (Over 50 Loops) "Whiplash" by Pure Gold Productions "Summer Saturation" Melodic Loop Kit (45 Loops) by noah!